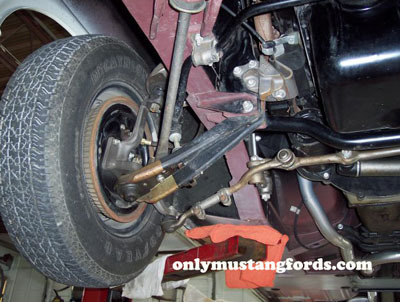 I was wondering how to remove the flexible brake lines from the front of my 1966 Ford Mustang six cylinder, with drum brakes on all 4 corners. I have them off the wheel cylinder. Just need to know how to remove the other ends. You may not be able to see them easily, if your suspension has a lot of mud or grease on it, but there are small metal clips at all of the hose brackets that resemble a kind of modified horse shoe. 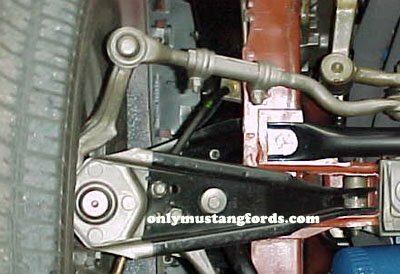 All you need to take of the clips from the 1966 Mustang (or 1965 Mustang) brake hoses, is either a wide screwdriver, or a pair of needle nose pliers. You can either pry them from the top and pull them off, or push up from the ends of the clips. When you replace them, there should be new ones in the kit. If not, they're easy to get. The other issue you might have, is hard to remove/frozen connections, which are going to require some penetrating oil and brake line wrenches, to make sure you don't round off the nuts, when trying to remove them.